Baby animals are so darn cute! Fuzzy little critters that aren't sure how their legs work. Bald little things that can't open their eyes yet. Soft puppies that don’t know they can't pee on the floor. Tiny turtles that eat strawberries with slow snapping motions. But, our babies are the cutest. Their adorable little wrinkly faces. Little girls who can howl like the largest gray wolf. And the baby boys who always manage to pee on you when you change their diaper. (We swear they wait for you to start changing them, then let loose.) And they are so darling when they first learn to crawl. Their chunky baby arms doing a windmill motion, landing on the carpet just seconds before their face. 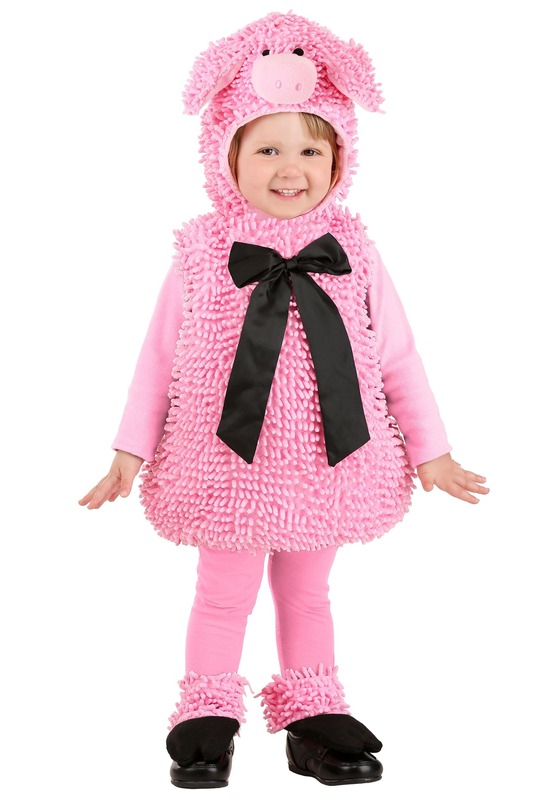 This Halloween, combine the two cutest things in the world. Baby animals and your baby. With this Squiggly Pig Costume, you can have the most adorable baby pig in existence. She will be drawing a lot of attention from your friends and family with her drooly face and floppy piggy ears. She will resemble a little critter that is just learning how to use her legs (because she will be). And, making cute little gurgles only a baby knows how to make.